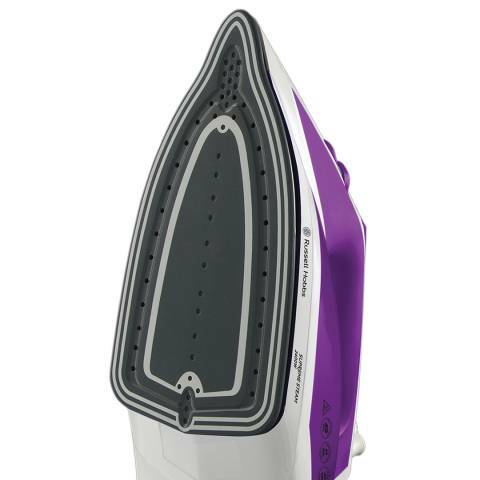 Glide your way through your ironing pile with this Supreme Stream Traditional Iron from Russell Hobbs, combining easy to use innovative features with high quality results. 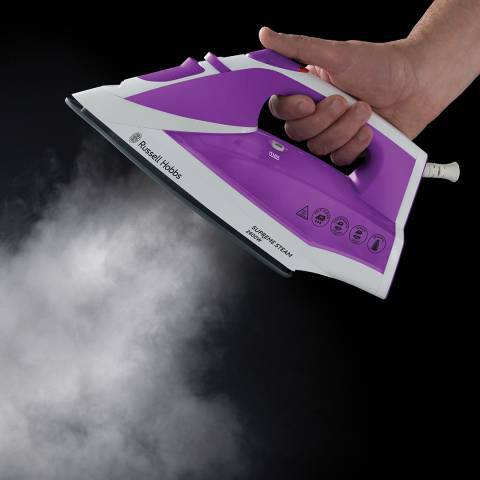 The iron features a ceramic soleplate, 40g continuous steam and a 110g shot of steam to provide even heat distribution as well as enabling you to glide through tough creases, keeping your clothes fresh and smooth all day long. This Supreme Steam Iron also provides a dry, steam, spray and burst function, providing you with a variety of options to suit all of your garments. With the inclusion of a 2m cord length and 0.32 litre capacity, this is both an easy and efficient product in household maintenance.